"A girl can never get tired of blushes!" I have to agree, as I find myself picking up various blushes from different brands on a daily basis and I try not to repeat my blush on 2 consecutive days! Blush application is the quickest way to make a person look pretty without the fuzz! When I first laid my eyes on the Majolica Majorca's Puff De Cheek, I immediately fell in love with it as they reminded me so much of the colorful macarons we love to eat! My first Puff de Cheek shade is Raspberry Macaron which is limited edition from the Summer 2012 Collection called Psychedelicious. 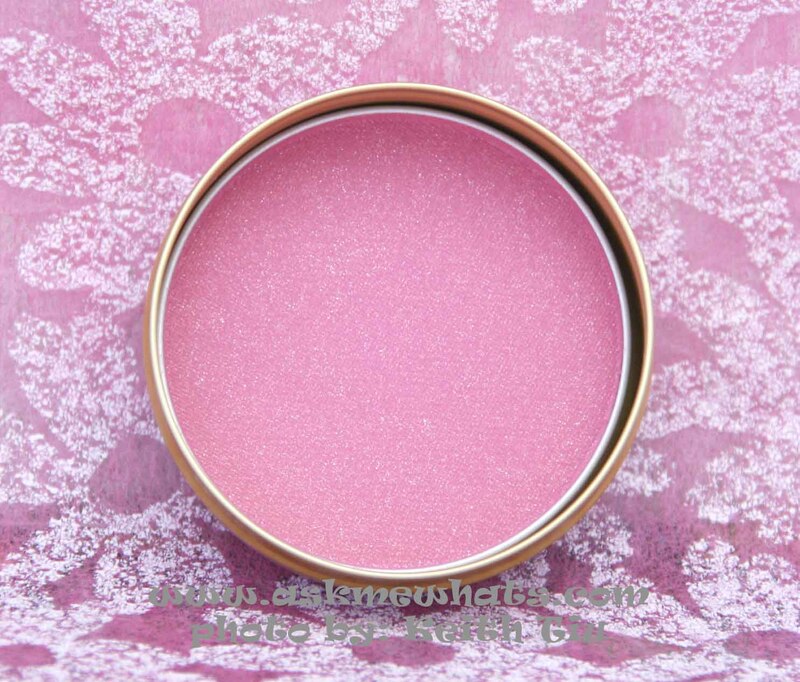 A classical blush in metal can with original soft puff, a limited edition product from Shiseido. Available in: PK415 (Raspberry Macaron) and RD414 (Cherry Macaron) under the Psychedelicious collection. With printed Manufacturing date at the back. Housed in a metal can with cute puff! Applies smoothly and the glitters aren't obvious. 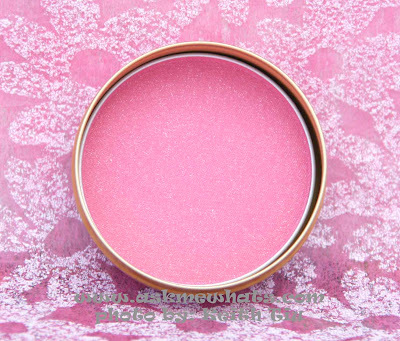 The blush can last you from months to a year! Worth every single cent. 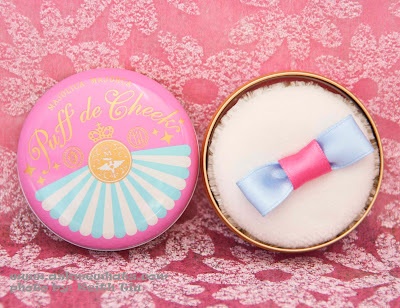 The cute packaging makes it easy to carry around for touch-ups. The added puff may not be the best way in blush application but I appreciate the fact that I don't need to pull out my blush brush on public for retouch. 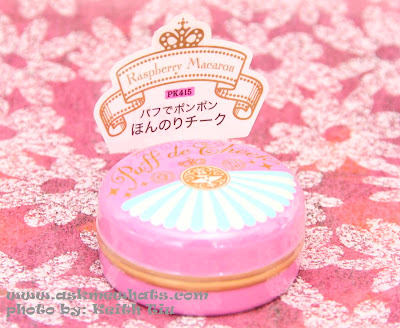 The powder is silky and comes off very natural on cheeks. Puff is best used for retouch, I prefer using a blush brush in application. Start by applying on the apples of your cheeks. To make your blush stay longer, apply a similar shade of cream blush underneath and set with Majolica Majorca Puff de Cheek blush. 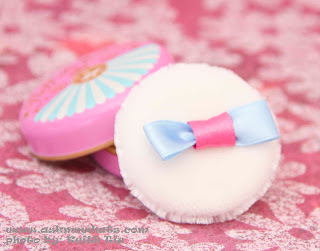 Anyone who likes natural looking blush. 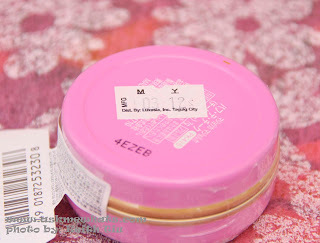 At local Majolica Majorca counters for Php795.00 (approx $18.50). 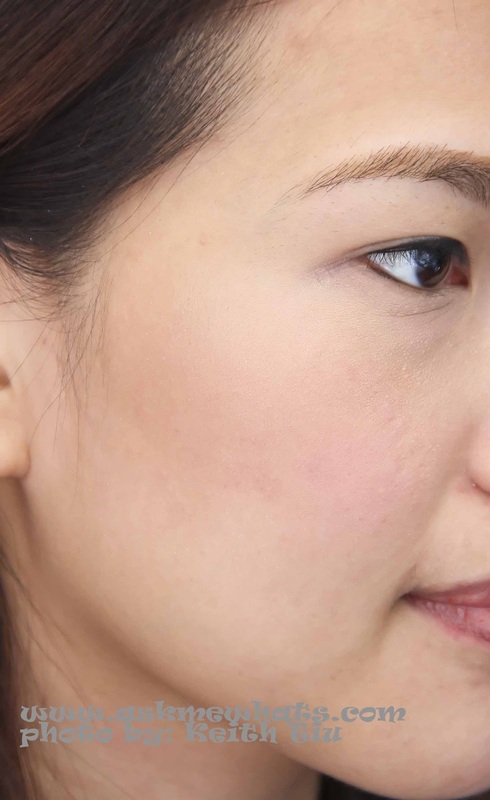 You can build up the color by applying more! Have you tried Majolica Majorca's Puff de Cheek? Thanks, I agree, the color is too cute to resist! so cute! i would love to get all shades! the packaging is so adorable!